We typically do rocks, mud, and dirt. 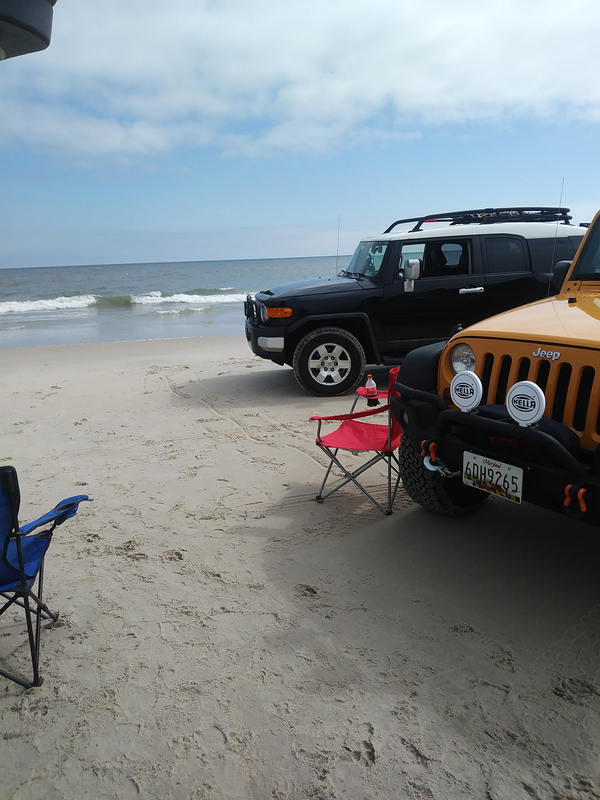 Once or twice a year, we like to shift gears and try beach driving. 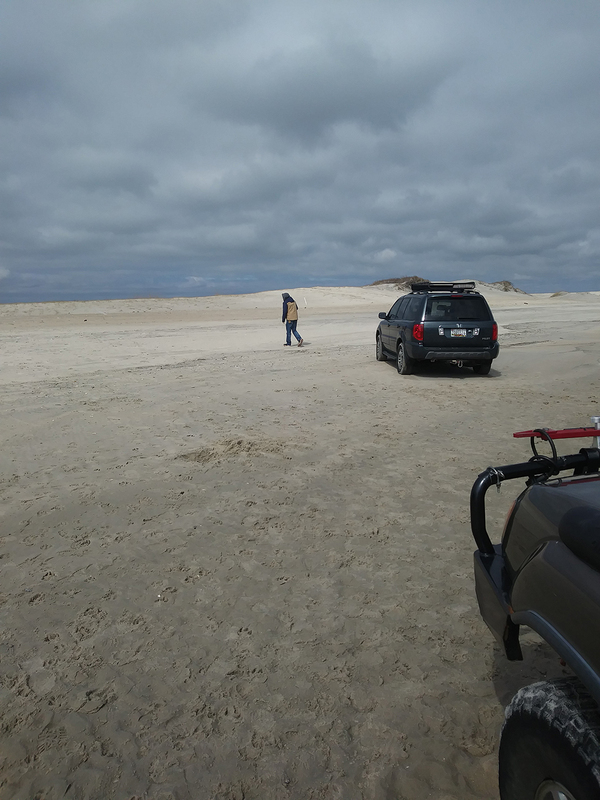 At Assateague Island National Seashore we have a chance to do sand. It about three hours from the DC metro area and just south of Ocean City in the town of Berlin, MD. This is the barrier island with the wild ponies. 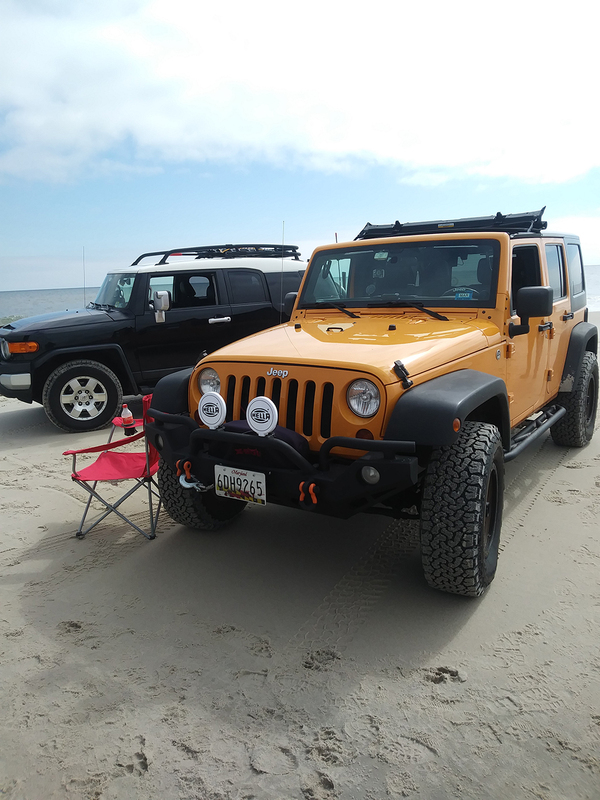 Eight 4×4’s were able to make the trip. 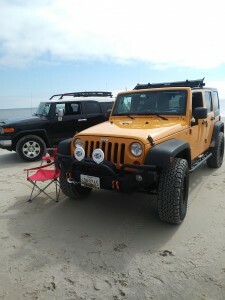 In addition, we had six passengers across the eight 4×4’s, so it was a well-attended event. The ride through the eastern shore is quite straightforward and very beautiful. The ranger station is located at 38o11’29”N, 75o09’30”W. We went to the National Park. There are also Maryland and Virginia State Parks with different rules and access. One thing to keep in mind, the park does not have day passes, only annual passes, which cost $90. 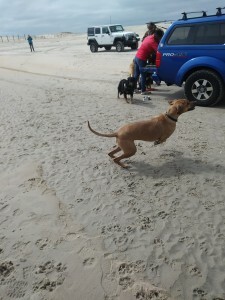 The weather was mid-forties and a little windy. There were a few others out, but not many, so we had the beach pretty much to ourselves. We had a good straight run down the beach for 12 miles until we reached the VA line, which is fenced and posted and looks like a Normandy beachhead. 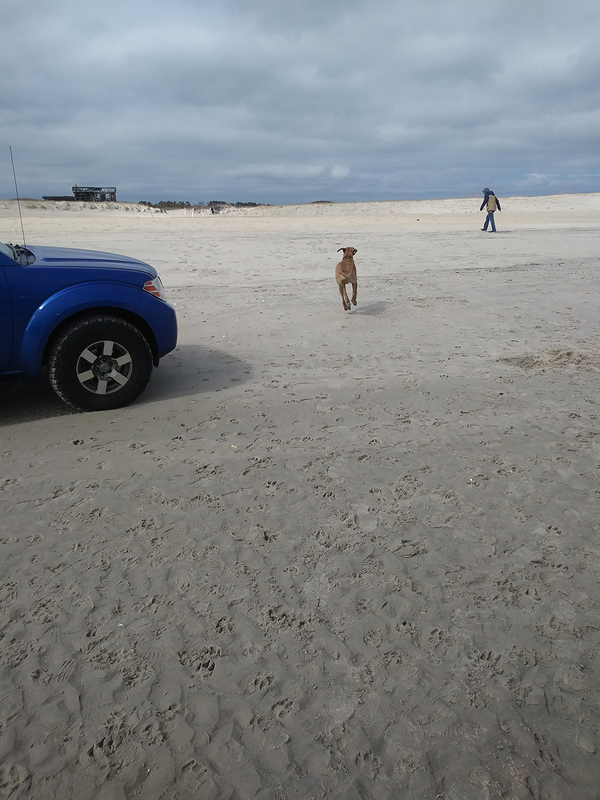 we had the beach pretty much to ourselves. On the way back we did a little exploring down a couple of tracks that took us off the beach in into the wetlands. Quite nice, especially the second side track with plenty of wild life. This trip we didn’t see ponies, although we saw plenty of little reminders that they were there. We were all comfortable with sand driving by that point. We still had two hours before we had to head back, so Mike, Jan, Sergey and Rick took a fast run up to the VA line again and back. It was great fun. The tide was out so we had miles of sand moguls to play on. I little challenging to the suspension, but an awful lot of fun. We weaved back and forth across the different consistencies of sand. From the very dry to the very wet. Trip report by Mike O’Grady. Pictures by Mike O’Grady and Jendra Rhambharos. Video by Jendra Rhambharos. 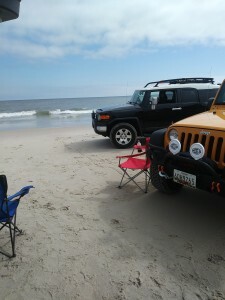 Trip Report Assateague Island National Seashore. permalink.